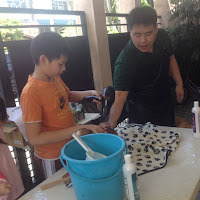 The Sun Valley Dog Club has invited Wafu and Baby Moon for a Grooming Seminar of Proper Bathing. 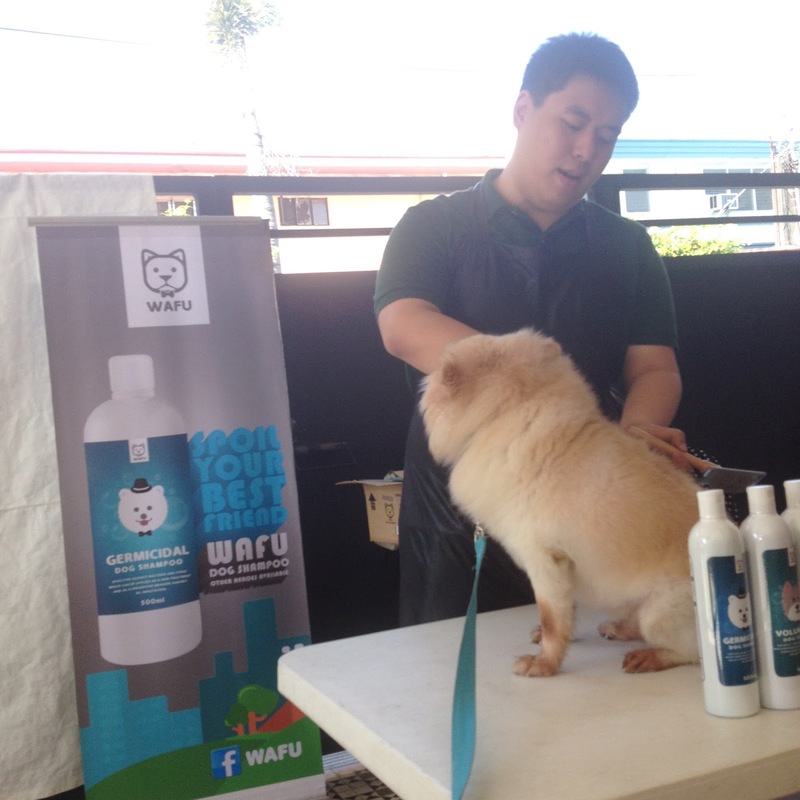 Wafu is an up and coming trendy shampoo line. 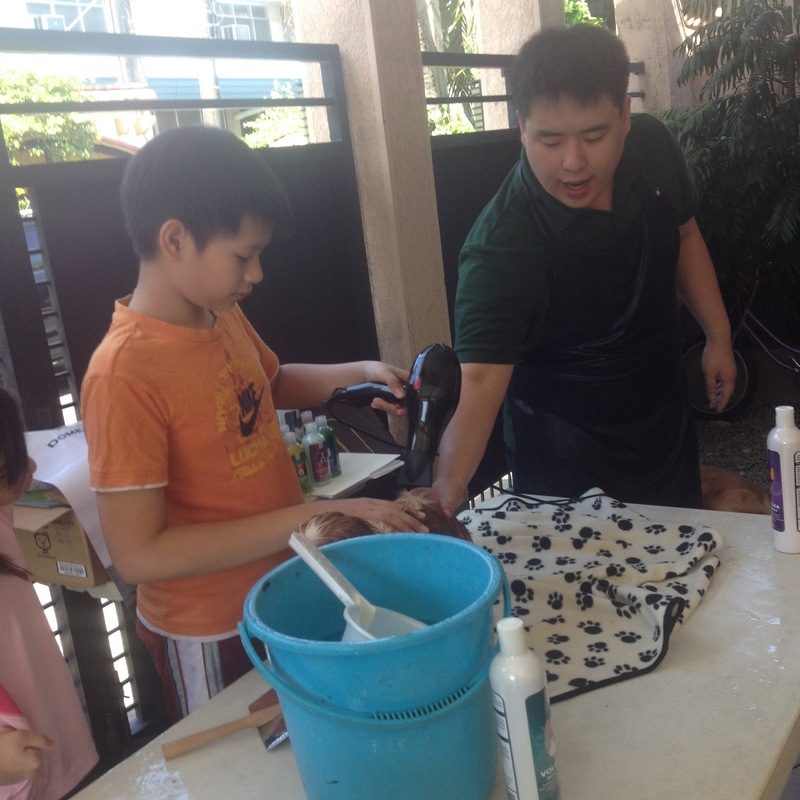 The seminar was attended by members of the Sun Valley Dog Club. One of the demo dogs was Pet Fashion and Trend's very own Robin. He tried the Volumizing Shampoo. 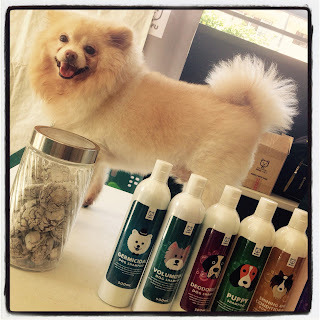 After the groom, Ms. Maita of Baby Moon Pawprints had simple styling of pups.